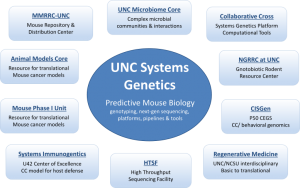 The MMRRC at UNC distributes and cryopreserves scientifically valuable, genetically engineered mouse strains and mouse ES cell lines with potential value for the genetics and biomedical research community. We are part of a national network of breeding and distribution facilities plus an information coordinating center serving together as NIH’s premier repository of spontaneous and induced mutant mouse and cell lines. 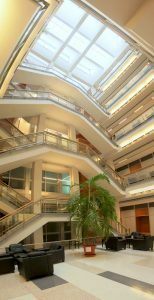 The MMRRC at UNC is supported by the National Institutes of Health. Please contact our Customer Service at mmrrc_service@med.unc.edu if you have any problems or questions about accessing the information you need. The sections listed below may be of interest. A listing of the genotyping protocols available for strains held by MMRRC at UNC. Health reports are available to all customers as PDFs and are updated as soon as new results are available. All official MMRRC policy details can be found in this section.